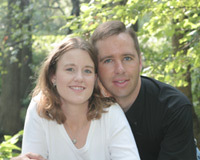 LakePalestine.com is the brainchild of internet entrepreneurs, Cassidy Lackey and Jerry King. In 2008, Cassidy was researching lake communities online but the information about each lake was almost nonexistant. So, we set out to change that and become the "official" online guide for Lake Palestine. Our two-person two person team handles all the design, development, marketing, social media, search engine optimization, business development and advertising sales to create a valuable interactive community for Lake Palestine residents, weekenders and visitors. Our initial goal was was to connect Lake Palestine real estate buyers and sellers as well as vacation rental owners and vacationers. We've since expanded to include news, events, weather, lake levels and business information. Many times we rely on local experts to contribute news and event information. We've also launched additional lake sites under the parent company, Lakehub.com. 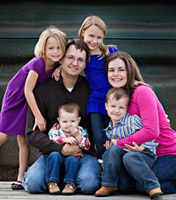 Cassidy resides in the Dallas/Fort Worth area with his wife, Danielle and 4 kids, Riley, Avery, Carson and Reese. Cassidy is focusing full-time on growing LakeHub as well as other business ventures such as TexasProud.com and AquaponicPeople.com. He enjoys spending time with his family, real estate investing, building businesses as well as serving at his local church, Cross Timbers Community Church. You can follow Cassidy at his Dallas Fort Worth Entrepreneur blog, LinkedIn or twitter. Jerry King and his wife, Kelly also reside in the Dallas/Fort Worth area. Jerry is an talented internet software architect for a wireless software company. Jerry enjoys hanging out with his wife and serving in his church, NorthWood Church. We believe that we exist to glorify God by using our God-given talents to honor Him by operating businesses ethically and responsibly.